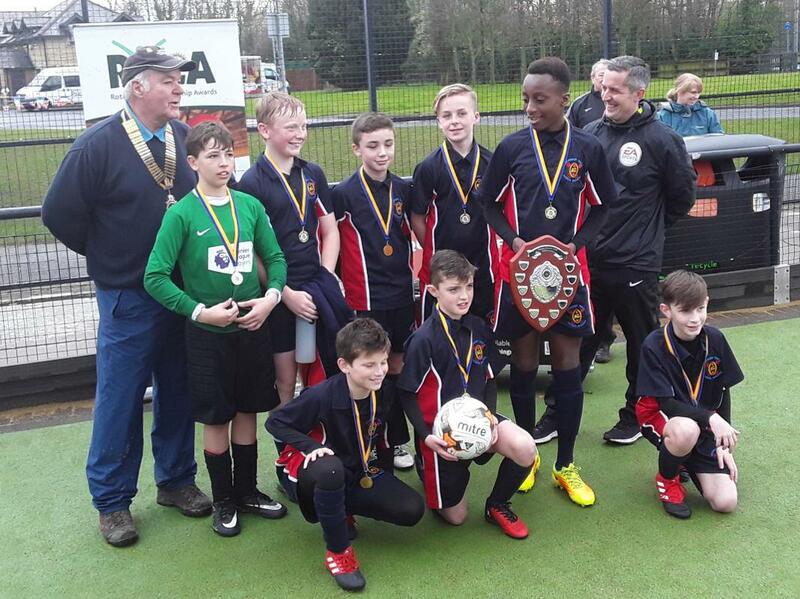 Lancashire schools took part in a challenging under-12s 5-a-side football tournament at UCLan Sports Arena to get the opportunity to compete in national tournament at the FA’s St. George’s Park facility. The tournament was organised by Foundation-Level UCLan students from the School of Sport and Wellbeing in conjunction with Rotary District 1190 and took place on the 30th March, 2017 in what was the 4th annual tournament. Alex Grebenar, Associate Lecturer in Event Management at UCLan, said ‘Our students have worked really hard to deliver this brilliant tournament. Many had never been involved in events before, so to see them pool their collective skills towards a successful event is a real source of pride. They’ve produced something really valuable for the community, the university, and for themselves as future graduates’. 24 teams from 18 local schools took part, and the event was attended by several VIPs from UCLan, LCC, and the world of football including former Preston footballer Neil Mellor who gave an inspiring welcome to the players to start the tournament. The tournament consisted of a preliminary stage of 4 groups, with the top teams of each group moving on to knockout stages towards the final. Archbishop Temple School, with Fulwood Academy as runners-up after a hard-fought final officiated by EFL Championship referee Darren Bond. 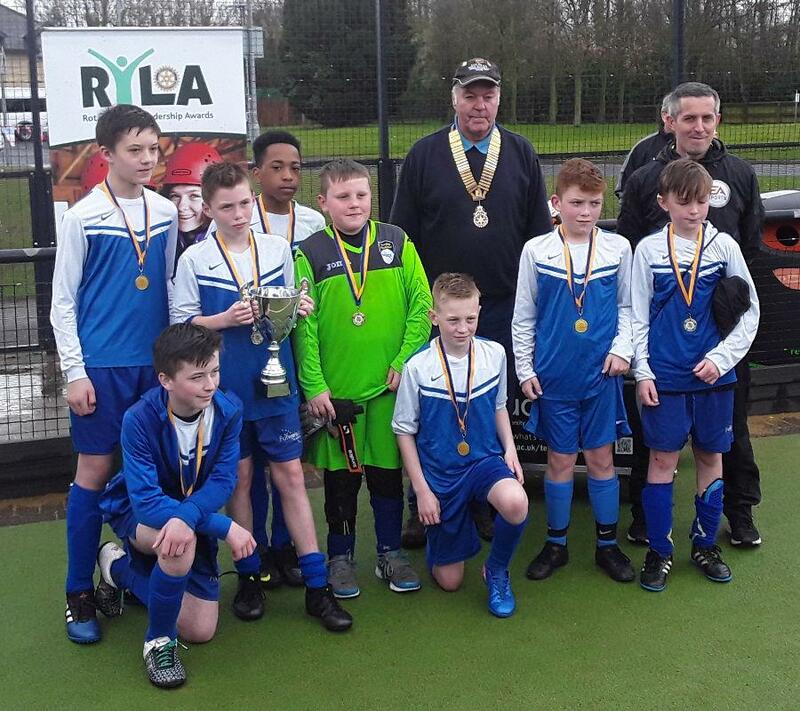 The winners and runners-up earned a place in a national tournament at St. George’s Park, with transport provided by local Rotary Clubs. Archbishop Temple as winners also received a signed FA ball and a new kit for the tournament. As well as providing a platform for local children to compete and develop, the event also maintained a crucial link between UCLan/Rotary and the local community. Cian McEvoy, Football Development Officer at UCLan said: ‘I was delighted to be part of successful event where UCLan students get involved in something which benefits the local community and celebrates our national game whilst also developing their own employability skills. The UCLan Sports Arena was buzzing with life and a bit of rain didn’t deter the children from performing on the pitch to a fantastic standard in a positive and sporting way’.